At a Workshop on February 19, 2019 the EU Parliament picked up on the latest German ambition as communicated on January 26, 2019 by the German Commission on Growth, Structural Change and Employment – colloquially dubbed the “coal commission” – that relased after 8 months of negotiations, a 336-page report on it’s plan to phase-out coal-fired plants. 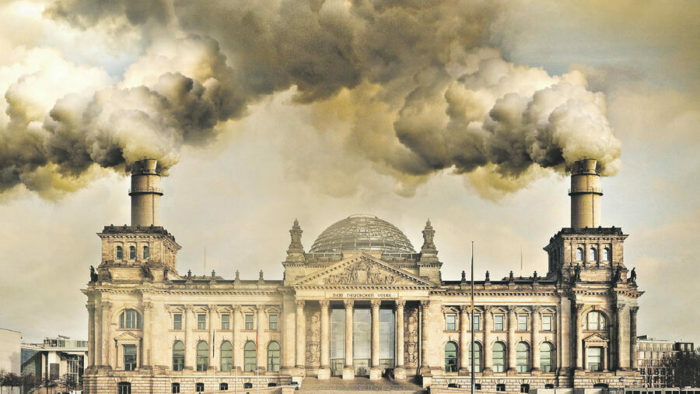 With the country’s long-awaited verdict on the German coal power industry, the government commission advised to terminate all coal-fired power plants by 2038 to cut greenhouse gas emissions and satisfy the climate protection law. The report was confirmed by Chancellor Merkel in a meeting with the coal regions beginning of February. the future- The example of energy transition in Germany” – featured Prof. Dr. André Faaij – Director of Science, ECN part of TNO who indicated that overall full decarbonization of EU industry are possible: more understanding of planning innovation is key. Mixtures of options is best solution but we have only one investment cycle to go so fast and efficeint planning is key. Prof. Dr. Stefan Lechtenböhmer – Director, Future Energy and Mobility Structures, Wuppertal Institut referred to to the 10 Gtons of CO2 that global industry emits (760M tons equ in Europe) Prof. Dr. Paul Dodds – Senior Lecturer, Bartlett School, Faculty of the Built Environment, University College London (UCL) was quite positive about the uptake of fuel cell cars. Jorgo Chatzimarkakis – Secretary General, Hydrogen Europe like Paul Dodds mentioend the interest in hydrogen now also by the IEA a recent FCH JU report indicated potential reduction of 560Megatons CO2 plus plus $820 bln of revenues up to 2050. 100Twh of hydrogen can be stored if 10% is blended into gas gris blending (36 bln m3 available in gas network) 390 PJ of hydrogen potential exists in the steel industry. Rafał Bajczuk – Research Fellow, Department for Germany and Northern Europe, Centre for Eastern Studies (OSW) Poland: Germany CO2 reduction by 80 -95% by 2050: coal exit is not yet Law but 60% of RE is needed by 2038. Transportation will be the most tricky one, so far German car industry has not delivered. Last year, the net installed output of coal-fired plants in Germany peaked at around 207 GW with coal contributing to a total of over 45 GW, of which hard coal and brown coal supplied about 24 GW and 21 GW, respectively. The report sets out intermediate objectives to cut coal consumption to about 30 GW by 2022 – equivalent to 24 large coal units – and 17 GW (hard coal = 8 GW & brown coal = 9 GW) by 2030 before phasing it out completely by 2038. The phase-out could potentially be achieved as early as 2035, if security of supply and industry grants it. With 33% of the country’s electricity derived from burning coal, already by 2022 plant operators will have to shut almost a third of coal power plants off the grid.The plan laid out by the roadmap will project Germany to gradually shutter 100-odd coal units, eliminating 20,000 jobs and thousands more in ancillary industries. “We will make sure to include people in the affected regions in the phase-out of coal and thus help create acceptance for our climate targets.” commented Federal Environment Minister Svenja Schulze. The coal-mining states of North Rhine-Westphalia, Brandenburg, Saxony and Saxony-Anhalt are to receive extensive aid of €1.3 billion per year for a period of 20 years from the government to convert their industry. Additionally, a further €2 billion a year from the German federal government to relieve the burden of rising electricity prices on private individuals and companies from 2023. The “electricity price compensation” for energy-intensive companies should continue until 2030.